The month of May marks the beginning of awesome sun filled days, perfect for family friendly outdoor street festivals. From food trucks to Fairy and Pirate Festivals and to the annual Pork Roll Festival... GO! Full-scale Spring Fling Carnival with professionally operated rides. Booths featuring popular games of chance. Great prizes! Carnival food and novelties. Free parking. Live music throughout the weekend! Featuring local rock bands! Thomas Jefferson Middle School, Merlot Ave & Philip St, Fair Lawn NJ. 25 Fabulous Food Trucks with delectable delicacies to WOW even the fussiest foodie! Food, Fun, Live Music and Great Kids Activities! Vendor Village. Stroll Chester’s charming, brick-lined sidewalks with over 80 specialty shops. Municipal Field, Main Street in Chester NJ. Secaucus' Green Festival provides environmental activities for children, music, pontoon boat rides, live animals, hourly educational presentations. Over 50 food and green product vendors. 5000 Riverside Station Boulevard, Secaucus NJ. 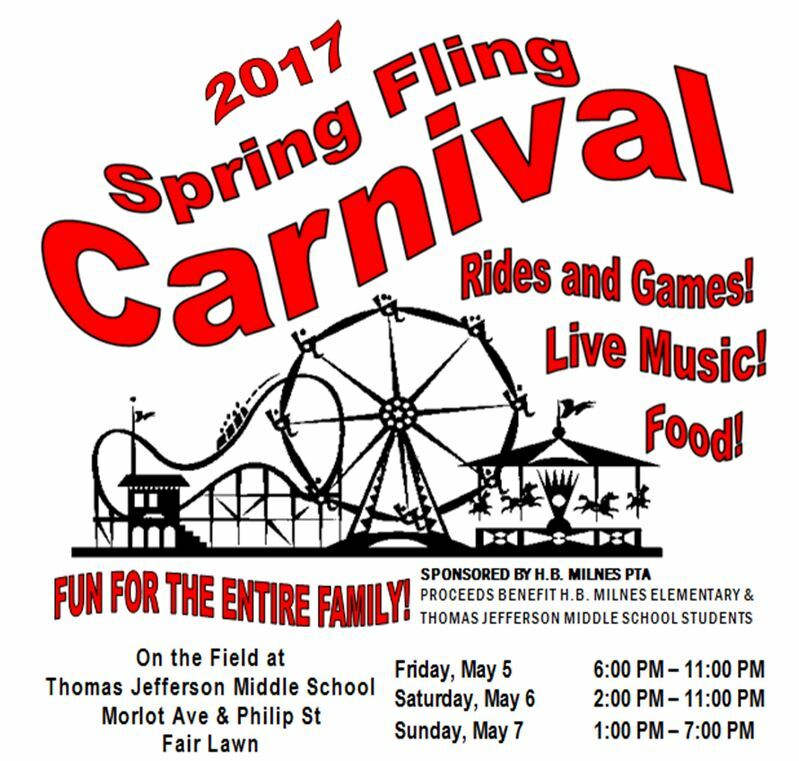 Enjoy kids zone with rides and activities at the Westfield Spring Fling. Non-stop entertainment with music, food and shopping. Downtown Westfield NJ. Spirit of the Jerseys will feature five centuries of NJ’s history will be represented by exhibitors and reenactments. The centennial of the first World War will be commemorated with several special programs. Favorite activities will return including 19th century baseball, plowing demonstrations, period music, and historical figures from NJ’s past. 16 Business Route 33, Manalapan Township NJ. Budd Lake's Fairy and Pirate Festival features kid friendly activities for families and their favorite little fairies and swashbuckling adventurers! 30+ vendor booths, dance performances, sword fighting demonstrations, pony rides, bounce houses, food for sale, and more! 30 Flanders Rd, Budd Lake NJ. Eco Fun Fest featuring Reptile Show With Rizzo’s – Planet Friendly Games – Giant Slide - Dunk Tank – Face Painting – Live Music- Arts And Crafts. 1 Evergreen Place, Morristown NJ. FREE for adults and kids under 5. Children $15 at door. This Asian Heritage Festival will feature Asian American entertainment, food and shopping. Bollywood celebrities. Talent competition - Dance, Music, Singing, Live Band. Free medical checkup, and kids play area. 97 Sunfield Ave, Edison NJ. 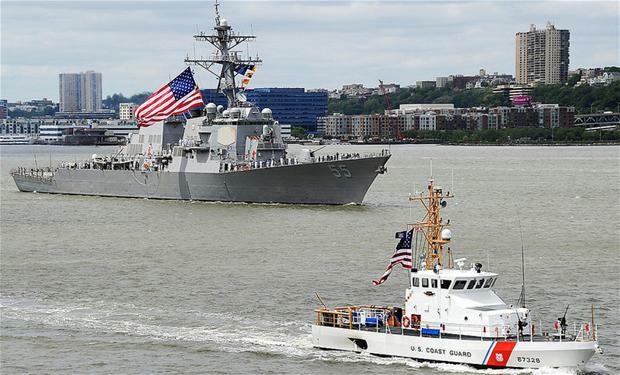 Come meet Sailors, Marines and Coast Guardsmen, ship tours, performances and more during Fleet Week New York. Check schedule and locations. New York Harbor, New York City. This African American Heritage Festival Feature carnival rides, giant and historic balloons, ethnic garb, pony rides, celebrities, college fair, health pavilion, vendors, live entertainment and much more! Downtown Newark NJ. The largest kite festival in North America will feature kite makers from around the world! Festivities follow with the opening of the kite sales tent and the 9 p.m. illuminated kite fly. East Coast Stunt Kite Championships on the beach Saturday and Sunday, beginning at 9 a.m., as well as kite workshops and family games. World Indoor Kite Competition on Monday. Rio Grande Avenue Beach and inside the Wildwoods Convention Center NJ. Your place to be, the NJ Renaissance Faire. Entertainment, 60 eclectic merchants, sword fighters, dancers, musicians, comedians, jugglers, acrobats, magicians, fire breathers, sword swallowers. 1195 Florence Columbus Road, Bordentown NJ. The Trenton Pork Roll Festival - truly a unique family-friendly food and music celebration. Food and Merchandise Vendors. Music Stage (all day), Entertainment and Children’s Events. Pork Roll Recipe Contest and Awards, 2017 Pork Roll Queen Pageant and Crowning and more! Children under 10 FREE. All others $10 per ticket. 100 S Broad St, Trenton NJ. Come enjoy Fleet Week at Liberty State Park. Featuring: U.S. Navy (USN) Parachute Team, The Leap Frogs, USN Dive Tank. Navy Band Northeast performance. U.S. Coast Guard (USCG) Silent Drill Team performance. U.S. Marine Corps Battle Color Detachment performance. Military static displays, kids activities and much more. 1 Audrey Zapp Dr. Liberty State Park, NJ.